Linaria canadensis of Michigan Flora. Dry, open, sandy or rocky ± barren ground; oak and sassafras savanna and jack pine plains; beds of dried lakes. 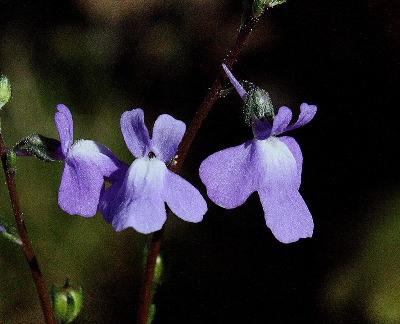 Surprisingly frequently misidentified in herbaria as Lobelia kalmii, with which it shares narrow leaves and blue bilaterally symmetrical flowers, but not habitat, superior ovary, spurred corolla, absence of milky juice, or other characters. MICHIGAN FLORA ONLINE. A. A. Reznicek, E. G. Voss, & B. S. Walters. February 2011. University of Michigan. Web. 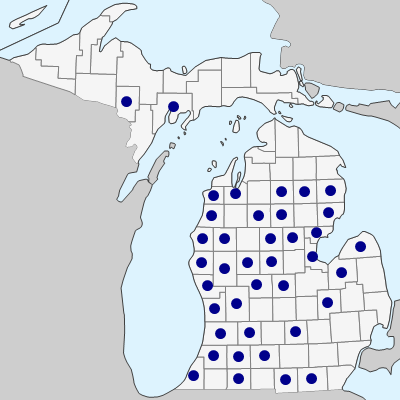 April 21, 2019. https://michiganflora.net/species.aspx?id=1950.